Red... mysterious, classic, and flirtatiously alluring. 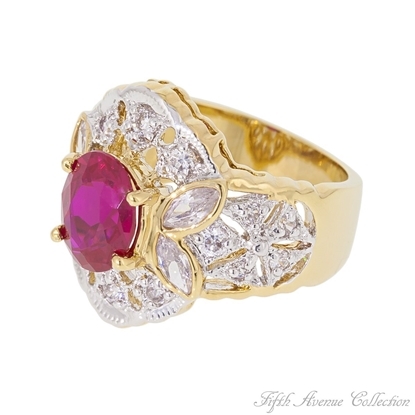 A striking design of delicate filigree in a duo of gleaming gold and rich rhodium hosts 20 stunning clear triple A quality cubic zirconia as they delightfully caress a vivacious multi-faceted ruby red. "Turn On Red" ...destination, fashion city. 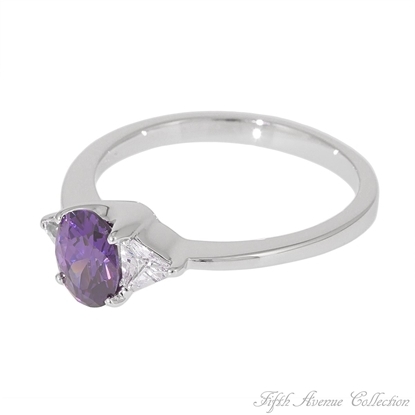 A single amethyst colored triple A cubic zirconia takes centre stage, supported by two brilliant trillion cut clears to make this simple yet exquisite ring is a hit! The matching neckpiece and earrings are a must. 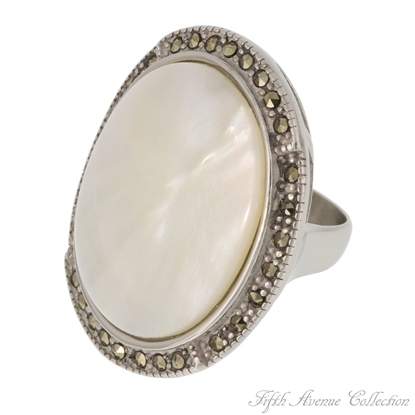 This gorgeous stainless steel ring finished in rich rhodium dazzles with the beauty of natural mother of pearl surrounded with dozens of marcasite crystals.Sizes 5 to 10Nickel and lead free. We hate to brag but we just can't help it! 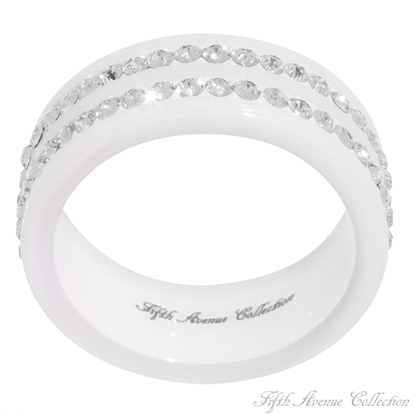 Something hew has been added to our fabulous collection - a trendy white ceramic ring, circled with two rows of blazing Swarovski crystal. Sizes 5 to 10Nickel and lead free. “Victorious” in its design, triumphant in its beauty!Twenty magnificent clear cubic zirconia are splendid in a timeless Chevron setting. Feel the excitement of victory as you overwhelm the world’s most astute jewellery Divas each time you flash this rare beauty. Who said you can’t put a round peg in a square hole? Not Fifth Avenue Collection’s designers! 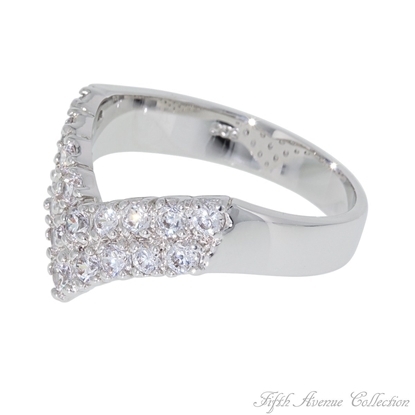 This wide band sterling silver ring boasts a rich and durable rhodium finish. 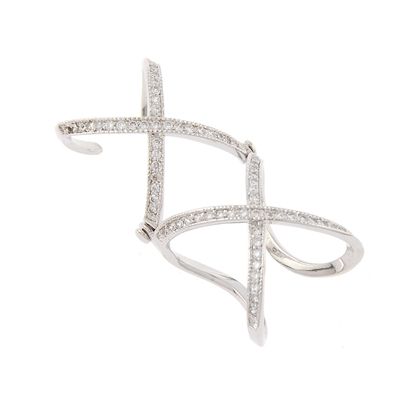 A round AAA quality cubic zirconia is secured in a lovely square setting and enhanced with two rows of brilliant rounds. 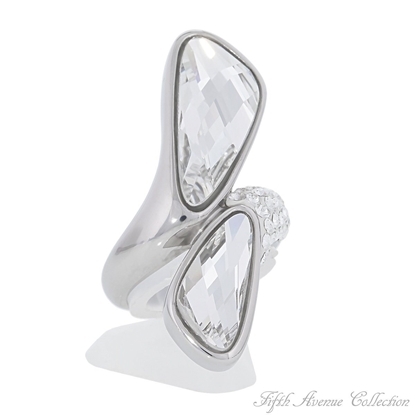 As they say… opposites attract!Sizes 5-10.Nickel and lead free. Which way to style city? 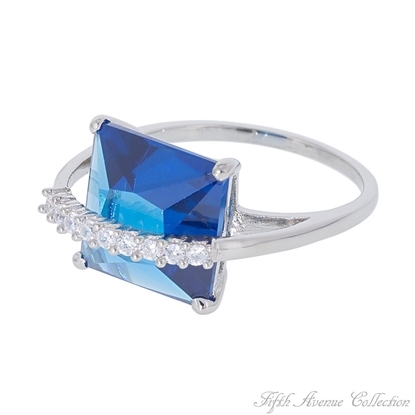 All signs point to the “Wishing Well” where you will find this unique sterling silver ring, featuring an aqua blue, square cut cubic zirconia wearing a rainbow of sparkling clears.Sizes 5 to 10Nickel and lead free. 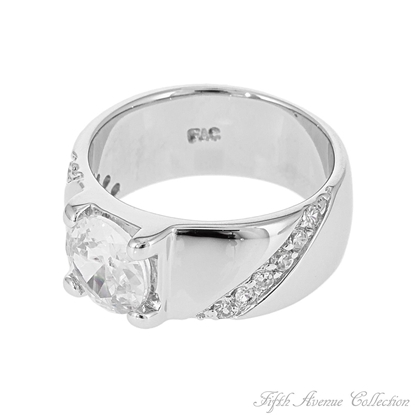 One of this season's hottest trends, our beautifully elegant "Xenia" full-finger ring is an FAC must have! 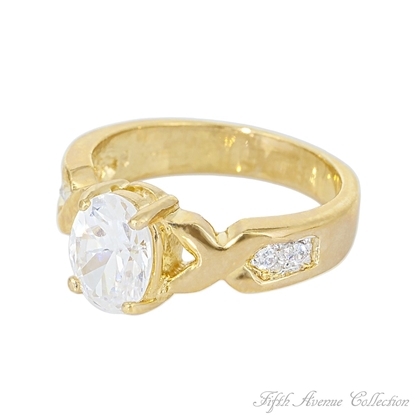 Boasting a dazzling criss-cross pattern sprinkled with exquisite AAA cubic zirconia this grand accessory features a unique and intricate hinge design that allows the ring full fluid movement with your finger!